NEW HAMBURG — As Nigel Gordijk was walking one morning, he thought about his community's response to the Syrian refugee crisis. A few weeks earlier, Gordijk got involved with Wilmot Responds, a grassroots initiative aimed at raising funds and support for private groups sponsoring Syrian refugees. Suddenly, Gordijk, who owns Common Sense Design, a graphic design and marketing company in New Hamburg, came up with an idea for a video that he would call "Wilmot Says Welcome." 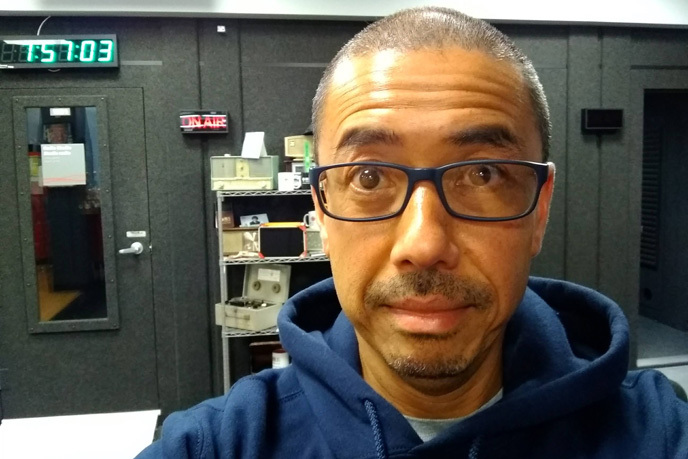 "I was just walking along the street and out of nowhere it just came to me," said Gordijk. "I knew there was a limited financial contribution I could make, but I knew that with my design and marketing skills, I could help out with promotion." Gordijk wanted residents of Wilmot Township to submit videos of themselves saying "Welcome to Canada" straight into the camera. "I remember reading about when the first refugees were arriving at Pearson, that the hashtag 'Welcome to Canada' was trending," said Gordijk. "I was just thinking, 'what if we could do a video and get people to actually contribute their own videos?'" He will take the video files, edit them together and create a larger video to raise awareness of the response to the Syrian refugee crisis in Wilmot. He plans to release the video on Jan. 1. Gordijk wants the video to be shown to Syrian families who will soon call Wilmot Township their home. "It'll be great for them when they get here," he says. "It's showing them the warmth of the community of Wilmot." 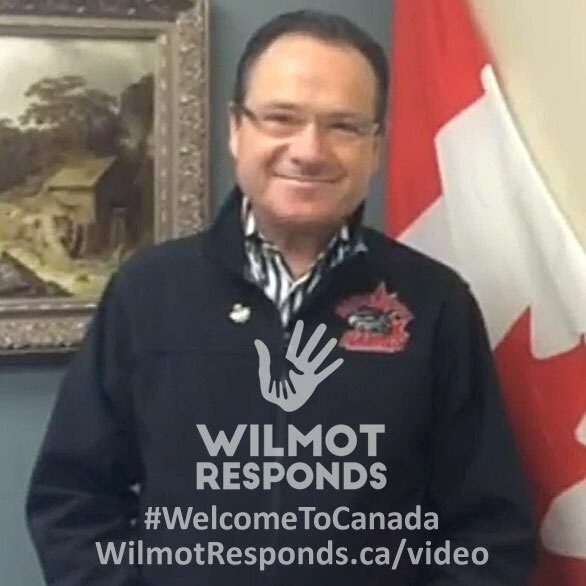 Gordijk hopes the "Wilmot Says Welcome" video will create more awareness about the refugee crisis and the Wilmot Responds program. "We're doing the video to draw attention to the program locally," he says. "Some of the people from the community weren't aware that there was a local response to the crisis." Gordijk enlisted Wilmot residents, including Kitchener-Conestoga MP Harold Albrecht, and Mike and Diane Erb, owners of Sight and Sound Studios in New Hamburg, to participate in the project. "I wanted to be part of this program and help as much as I can," said Albrecht, who personally welcomed refugees from El Salvador into his home in 1987. "We know that as we welcome those from Syria into our community, we will all benefit," says Albrecht. "We'll gain much more than we give." The Erbs donated their time and artistic skills by recording a track for the video. "When Nigel told us about the website and the support system, I thought it was great idea," said Mike. "We were happy to make a soundtrack for the video." So far, dozens of videos have been submitted for the project and Gordijk expects to receive plenty more. The deadline is Dec. 29. "I want to release it on New Year's Day so it's almost like a new start, a new year," says Gordijk. "It's a new chance for the people who are coming here." Wilmot Responds is a community effort aimed at facilitating communication about the Syrian refugee crisis among Wilmot Township residents. The group is supporting seven different churches in Wilmot Township that are planning to sponsor, or who have already sponsored, refugee families. Videos can be submitted at wilmotresponds.ca/video. Donations to support Wilmot Responds can be made to any of the organizations listed at wilmotresponds.ca/groups.php.